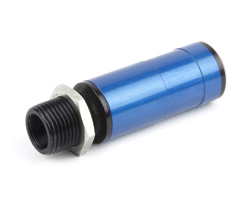 The Varilite Development Kit provides a reliable, industrial laser light source in the form of Global Laser’s Varilte. Depending on the kit you have purchased you will have either a 635nm 1mW, 635nm 5mW or a 660nm 20mW module. The Varilite has a user adjustable focus making it easy to focus over a wide range of distances. 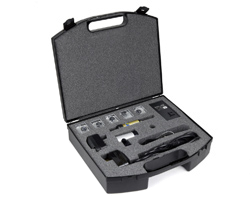 As a development kit, a heavy duty mounting clamp and a switched power supply is included. 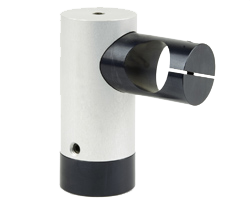 Laser positioning is made easy because the heavy duty mounting clamp which allows the laser to be adjusted and securely fixed at any required direction or angle as well as acting as a suitable heatsink. 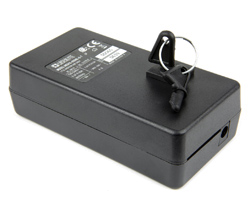 The power supply 110/240 Vac to 5.0V Amp is supplied with a UK, Euro & US plug. For more information on these lenses please refer to the projections lenses page.